(Czernowitz, 05.08.2016 - 13.08.2016) Let's go for a walk on today's Olga Kobyljanska Street, formerly known as Iancu Flondor Street during the interwar period and as Herrengasse in the "good old days" before World War I. Check it out, move the slider, compare and enjoy! JuxtaposeJS, this new, fancy - and free - photo comparison tool was brought to us by Knight Lab. The Northwestern University Knight Lab is a team of technologists and journalists working at advancing news media innovation through exploration and experimentation. 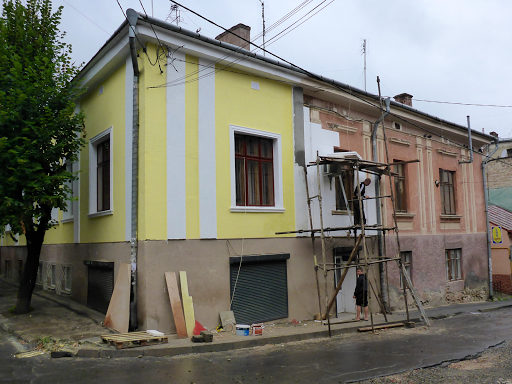 More Czernowitz pre-post comparison photos are on the way to be published after my return home! So what else is new in town? Where do we start? Construction and renovation works take place at every turn, such as everywhere on Olga Kobyljanska Street and f. i. at the cross-roads Tolstogo/Waggasse - Pereyaslavs'ka/Steingasse. Since the Russia-Ukraine gas disputes, thermal insulation became a topic in civil engineering in Ukraine. 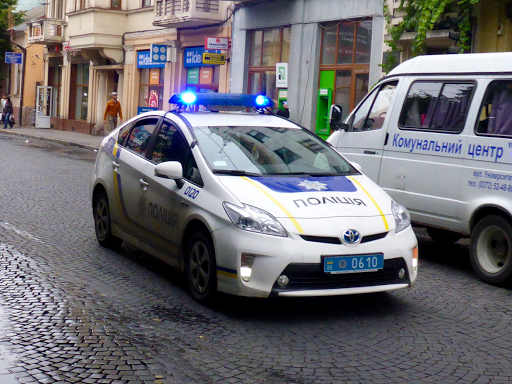 Energy savings and pollution control became essentials for the Czernowitz police forces too. They now draw closer, silently and "soft-footed/tired" on Prius, Toyota's hybrid car. When it comes to food and drink, cuts are no more the order of the day. 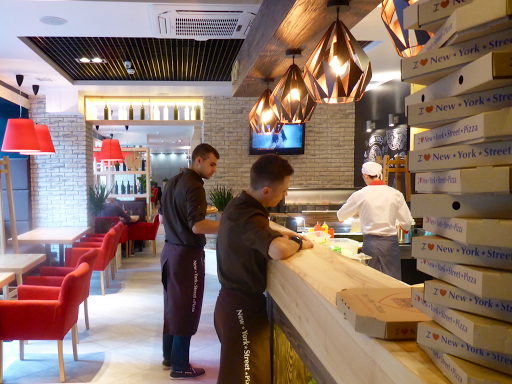 Nearly every day a new restaurant / bar / coffee shop opens its doors to the public, such as the brand new NYSP (NEW * YORK * STREET * PIZZA), just by my Bukovyna Hotel. The Pokémon Go Mania - youngsters know, what I'm talking about - hit Czernowitz without remorse. 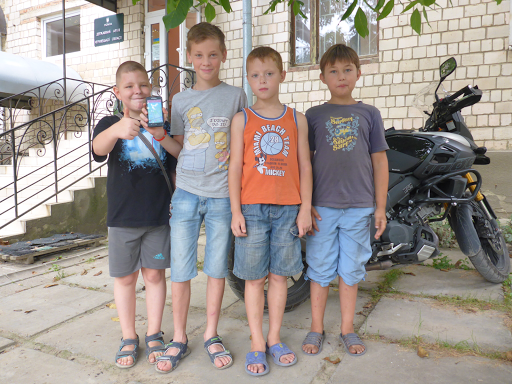 Here too, in a way at the end of the world, in front of the Czernowitz Regional Archives, four Czernowitz kids are on the hunt for Pokémons. Good hunting! Beyond the daily museum work, the Chernivtsi Museum of the History and Culture of Bukowinian Jews became a starting point for creative work and for international partnerships in the cultural sector. 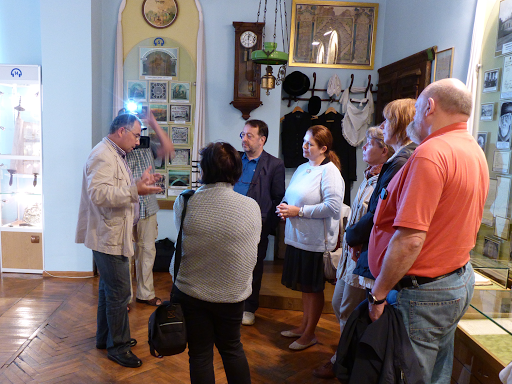 Members of the Düsseldorf Jewish Community attend a museum visit under the guidance of director Mykola Kuschnir. 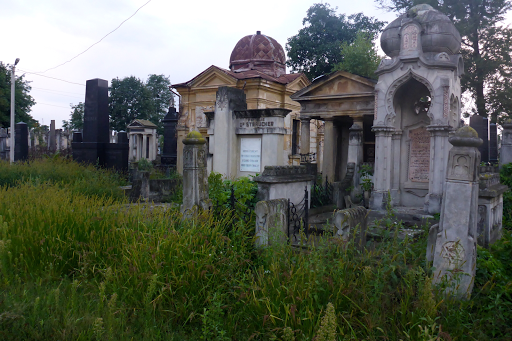 Only the Czernowitz Jewish Cemetery - fortunately - didn't change and it's waiting patiently for the volunteers from SVIT and ASF to do their best in order to restrain the uncontrolled vegetation growth of the last season. P.S. 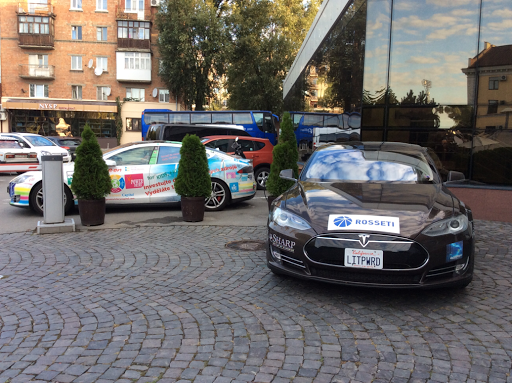 : As evidence of my statement, that Czernowitz is fully focussed on electromobility, last night two participant teams (USA, Chech Republic) at the 80edays parked their Teslas just at the entrance of my Hotel Bukovyna. That Juxtapose photo is really neat! I will have to see if I can get some photos to try it with. Thanks again, Edgar, for sharing new & interesting information.